Bobby Charlton is an icon not only for the game but for an era. He was a knight in unblemished shining armour in an age where chivalry was dying fast. When Bobby Charlton returned to play after Munich, it was as though he was carrying the weight of the club on his shoulders. It wasn’t long before Bobby rose on to the international scene as only three months after the accident he was selected to play for England for the first time. In the years 1958 to 1968, Bobby managed to score 171 goals on his way to winning the Ballon D’Or for European Player of the Year in 1965. The post Munich saga culminated with the European Cup final in Wembley against Benfica, in which he scored a brace to help United lift the trophy Sir Matt Busby had been chasing ever since 1958. It was not only in the immediate aftermath of the disaster that Bobby was affected. The emotional impact of that day in 1958 was something that would follow him for the rest of his life. Arguably the most influential impact that the Munich disaster had on Bobby was the spotlight it put on his career at the tender age of 20. He was, and is, forever referenced as a survivor of the Munich Air Disaster. As he explains in his autobiography, the trauma of the crash forced Bobby to grow up quickly and mature, something highlighted by the chivalry and loyalty shown to Manchester United, and his Norma, who Bobby himself called ‘the shining light in my life’. He truly was a one club player, clocking up 758 appearances for United. Bobby represented everything that Matt Busby wanted in his team; the desire, the grit and the determination to carry on no matter what. It was these characteristics which allowed him to have such a long and distinguished career following 1958. At the time of Munich, Charlton was one of the most inexperienced players in the team. The team around him was filled by those who had played for countless seasons, they were players who Bobby Charlton admired and looked up to. Following the crash, he suddenly became the player whom those around him looked up to. In a complete reversal of events, Bobby Charlton was now the experienced player who had to lead by example. Not only did he have to show maturity, he also had to struggle with trivial issues such as changing positions within the team to accommodate for the gaps that were created, moving to inside left instead of his natural inside right. Despite still being the young and experienced player he was, his attitude led to Sir Matt Busby once divulging how ‘he was a great source of inspiration to keep working for the restoration of Manchester United’. 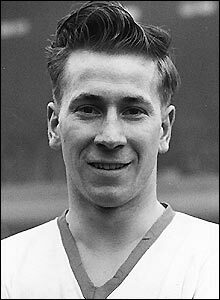 Bobby Charlton had become driven to helping the club survive and reclaim the standing the Busby Babes had worked so hard at creating. There is a view on the topic that the legend of the Munich Air Disaster is something that owes to the successes of the 1960s. I feel that this is supported by evidence, and closely linked to the story of Bobby Charlton. The glory of the 1960s allowed the story of the Munich disaster to have relief, notably when Bobby Charlton lifted the European Cup in Wembley 1968, following a 4-1 extra time defeat of Benfica. Winning the European Cup did not close the chapter on Munich, especially for the families or relatives of those deceased, but it represented the fulfilment of a footballing journey which begun some 12 years before. The revival of the Manchester United team allowed them to spend most of the 15 years following Munich as one of football’s top 3 best supported clubs in England. Tom Clare emphasises that sympathy alone did not dramatically increase United’s fan base. United were still rebuilding and that between 1960-1963, the average attendance was only 32,000 in a time where European football wasn’t played between 1958 and 1963. It wasn’t until the FA Cup victory in 1963 that support for the club grew exponentially and it was only in 1967 that the average attendance exceeded 50,000. Part VII will begin by looking at the story of one of the greatest individual losses of the Munich disaster, Duncan Edwards.